If you want to know where all the cool people are (and me) next Thursday, we'll be at the departmental Christmas Bash with games, a monster word search, pizza and all kinds of fun. If you are a student in the departmeht you can come too. 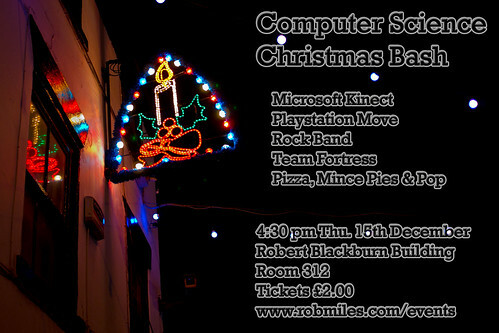 Tickets go on sale in the departmental office from 2:00 pm Monday 12th of December.